Development of India and Tamil Nadu. I fortunately bought it earlier. I got it delivered to my home two days ago. It`s very helpful to prepare for TNPSC exam. I get the urge of reading the book looking at the wrap itself. all the books are very good. despatch also done ver fast. i ordered three other books still i am not in receipt. 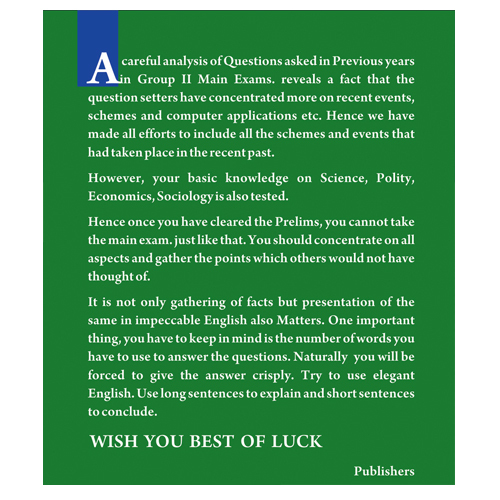 I`m in look out for tnpsc group 2 book. I don`t find this book on your portal May I know if it will be available in two or three days, or will it take even more time?